Our professional Picnic Point Gutter Cleaning service includes full gutter and downpipe cleaning. We utilize high tech Vacuum systems that assist in us delivering a high quality gutter cleaning service. Many areas in the region have large trees that add freshness and shade to the surroundings, but this also means property owners have to spend a significant amount of time on gutter cleaning Picnic Point. All the greenery also results in a huge buildup of leaves, twigs, and debris in gutters. One of the best ways to ensure that your gutters and downspouts are cleaned with regularity is to hire the services of experts like us at Mario’s Gutter Cleaning. Over the last 20 years, we have been one of the most sought-after professional local gutter cleaners, and with good reason. Not only do we provide clients with top quality solutions, but also ensure that the services are available at very affordable gutter cleaning Picnic Point cost. Not only may it become irritating to repair those problems, but the repairs or replacements may prove to be quite costly. One of the best ways to prevent having to deal with the hassles of not cleaning your gutter is to get our team here at Mario Gutters Cleaning Picnic Point to carry out your gutter cleaning services and to unblock those gutters. In doing so, we guarantee to utilise the most effective tools in order to clean your gutters in a productive and professional manner while remaining consistent and delivering outstanding end results. If you have been hiring handymen or gardeners for the job that can prove to be a problem as well. These inexperienced and unskilled professionals don’t have the knowledge or equipment to do a thorough job. More often than not, they cause damage to various features of the roof or the gutters themselves and this can lead to additional expenses. Once you have approved of the pricing, our crew will visit your property at a convenient time to begin the work. We will get your final approval for the cost before starting on any professional gutter cleaning in Picnic Point on your property. We are very objective with our advice and provide upfront pricing as well. 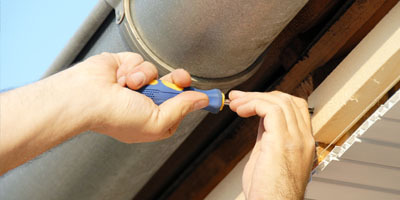 While our professionals are inspecting the guttering and downspouts, if they find any problems or deterioration in the installation, you will be informed about it. This allows you to decide whether you would like the feature replaced or repaired. When you hire us for this work, you never have to worry about any additional fees or charges tacked on to the final bill. 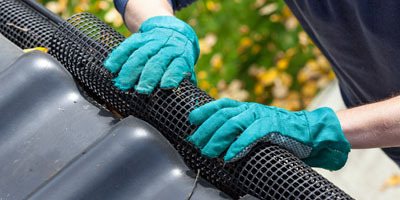 We use the latest vacuum gutter cleaning equipment in our work and follow all the necessary safety measures. This powerful equipment can get rid of even the most stubborn blockages and a heavy buildup of debris or leaves in the gutters. You can rest assured that the gutter cleaning Picnic Point will be done to your 100% satisfaction. Because gutter cleaning is our primary business, you can rest assured that the services and results we provide will be outstanding in every way. If some negligible mess does happen to slip out of the vacuum, our team will clean that up, ensuring you have a property that’s clean and tidy at the end of the job. Not only do we clean your gutters thoroughly, but also make sure that the downpipes are equally clean as well. When you are looking online for “Affordable gutter cleaners near me”, many businesses will show up in your search. But you need to dig a little deeper than just the services they all provide. When you are hiring the services of a Gutter cleaning in Picnic Point Company, ensure they are able to provide the perfect balance of quality and cost. That is what we guarantee you in every service we offer. We are a company that handles gutter cleaning, gutter guard installation or replacement as well as gutter installation and repairs. 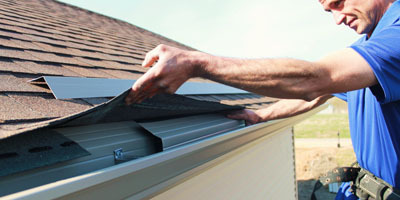 In short, we are your one-stop-shop for all your gutter-related requirements. 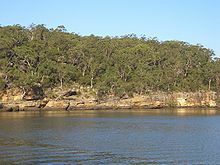 For any additional information about our Gutter Cleaning Picnic Point services, feel free to contact us at 0428 800 900. When you hire us, you are assured of the best services at the most competitive pricing. Call us with your enquiries today. Mario’s Gutter Cleaning Expert is the premier Gutter Cleaning, Gutter Repairs & Replacement and Gutter Installation team in Picnic Point! We offer fast, same-day service using cutting edge gutter cleaning technology. Our team of highly-trained gutter cleaners will make sure that the gutter cleaning is taken care of correctly on their first visit. We’ve been providing domestic & commercial clients in the Picnic Point area with gutter cleaning, gutter repairs & replacement and gutter installation services for over 10 years, so you can trust us with your gutters. Get in touch with us today on 0428 800 900 for a free estimate on all your gutter needs. You can’t afford to let just anyone Clean Your Gutters in Picnic Point.